Women and men in Los Angeles get facials for different reasons. Some get them to remove blackheads or other impurities, others to improve their complexion. There are also those individuals that just want help with an anti-aging regimen. Whatever your reasons for desiring a facial treatment, for the best results you should make an appointment with a professional facial spa. For years now, Face of Jules has been the top Los Angeles facial spa, providing exceptional skin care services at very reasonable rates. Our well-trained and highly-experienced esthetician, Julia, always does an outstanding job analyzing, correcting and protecting clients’ skin. The signature facials we perform are relaxing and nourishing for the skin. Many of the results-oriented facials done at Face of Jules incorporate skin cleansing, comprehensive exfoliation, re-hydration and extractions. We also provide evidence-based advice on the right ways to take care of your skin. If you’re searching for the best facial spa Los Angeles that will make you look and feel your very best, you’ve definitely come to the right place. Schedule Your Appointment at our LA Facial Spa! A facial is a multi-step skin treatment that aims to heal and rejuvenate your skin. 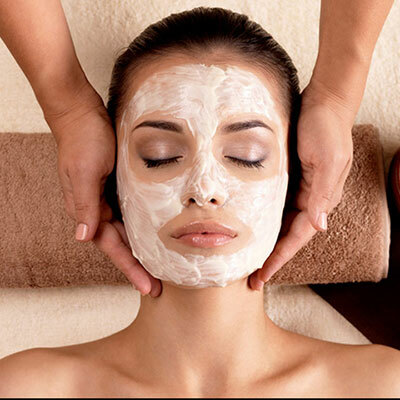 A top-quality facial will help promote a clear, vibrant complexion, which makes for younger and fresher looking skin. At our premier LA facial spa, Julia provides a variety of powerful facials that have worked wonders for countless clients in the area. Among our most popular offerings are the Shine Bright Like a Diamond Oxygen Facial, Diamond in the Rough Corrective Facial the Glow and Go Facial and the Gents Glow and Go Facial for our male clients. All of these Los Angeles facial spa treatments incorporate a holistic approach that masterfully blends art and science to help you achieve the best possible results. Please note that when you purchase packages of prepaid facial treatments, you’ll receive excellent discounted rates. At our facial spa LA, we also offer additional facial treatments that are perfect for revitalizing your skin and successfully dealing with a variety of skin conditions. Our high frequency facials utilize energized electrodes to reduce the appearance of wrinkles, puffiness and enlarged pores. Microneedling involves using small needles to make tiny holes in the skin as a means of encouraging healing and the emergence of new skin cells at the surface. An extremely popular facial spa treatment in Los Angeles, microneedling facials is great for managing acne, age spots, stretch marks and more. For the dermaplaning treatment, Julia carefully uses a completely sterile, professional-grade scalpel to remove decaying skin cells as well as hairs that keep unwanted oils on the face. In order to come up with your ideal, customized facial spa treatment plan, Julia will carefully and thoroughly examine your skin and discuss with you any skin conditions you have as well as your particular goals. All of the facials done at our Los Angeles facial spa are productive and provide tremendous value. Julia is a consummate professional and has the experience and knowledge to help clients even with extremely challenging skin. As our client reviews show, we get a substantial amount of repeat business due to our amazing results and superior service. The services we offer at our facial spa Los Angeles come with a number of incredible benefits. Facial spa treatments help slow down the aging process and prevent the appearance of wrinkles. They help increase blood circulation and promote the production of collagen, which helps make your skin look brighter and more supple. Regular facials help to detox the skin. Your skin accumulates dust and debris on a regular basis. If not cleaned out effectively, this accumulation can cause breakouts. Professional estheticians use ingredients like antioxidant-rich creams, herbal extracts, oils, and sea salt to cleanse and detoxify your skin leaving it looking and feeling fresh and radiant. Although acne can be stubborn, LA facial spa treatments can be very helpful in managing it over time. Additionally, the steam, exfoliation, extraction and mask application that occurs during facials all lead to skin rejuvenation and renewal. As a result, you enjoy an improved skin appearance with a healthy, radiant glow and an even complexion. At Face of Jules, your local Los Angeles facial spa, we focus on the overall wellness and beauty of your skin. We are committed to providing the most indulgent, beneficial skin treatments and facials that LA has to offer. 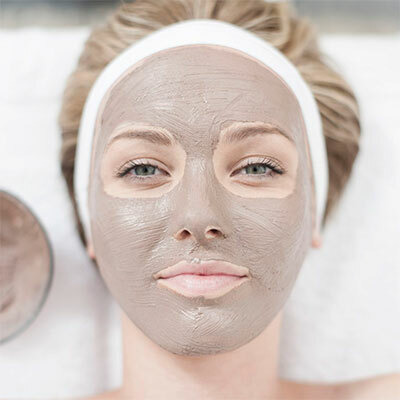 Our facials target your key skin concerns for maximum impact to help enhance your healthy, youthful and natural skin. We use premium natural skin care products combined with updated technologies and strategies to help you feel and look your best. To schedule an appointment, please call us at (310) 770-8730 or contact us online. We cannot wait to see you here. For the best facial spa Los Angeles, contact Face of Jules today. Call us at (310) 770-8730.